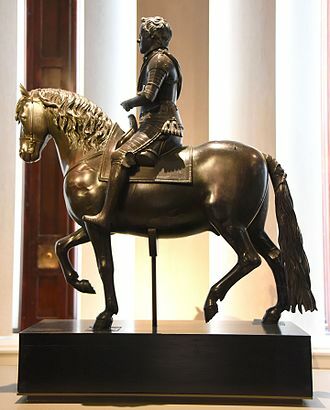 Its exhibits include Jean-Baptiste Wicar's The French Republic (the first known representation of the French Republic) and William James Grant's La cocarde (The Cockade), representing Josephine de Beauharnais with her daughter Hortense. The museum was opened on 13 July 1984 (the bicentennial of the Revolution) in the presence of Louis Mermaz, president of the National Assembly of France. It is housed in the Château de Vizille, which has a long history of artistic conservation, and is home to a documentation centre on the French revolutionary period. 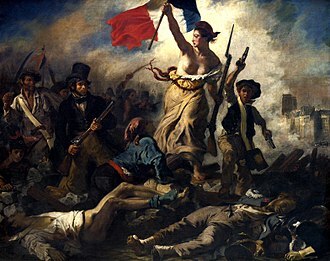 The museum also organizes international symposiums about the French Revolution. Located 15 km south of Grenoble on the Route Napoléon, the Château de Vizille (Castle Lesdiguières) is the former home of the Dukes of Lesdiguières. The founder of the dynasty, François de Bonne de Lesdiguières, completed his castle in 1619. 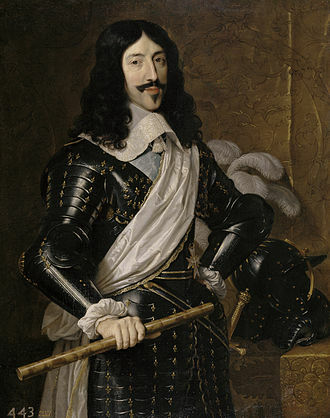 King Louis XIII, who made him Constable of France, visited it on 3 December 1622. 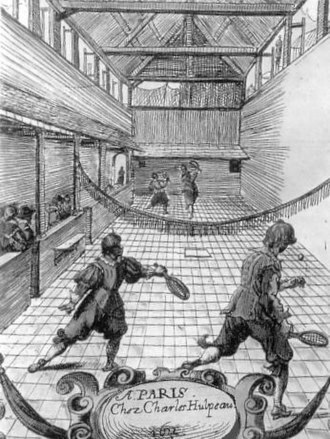 In 1716, the building was transferred to the Dukes of Villeroy. 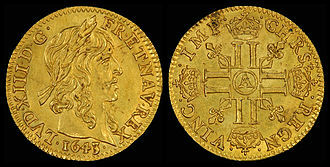 The Perier family owned it from 5 June 1780 to 23 December 1895. The castle was the summer residence of the presidents of the French Republic from 1924 to 1972. 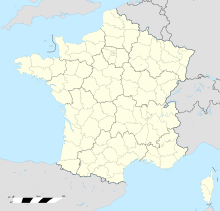 France ceded the castle and its domain to the General Council of Isère, which was entrusted with giving it a prestigious cultural role, in 1973. 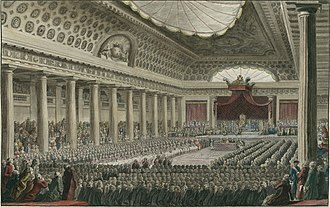 On 21 July 1788, during the presidency of the count of Morges, the Assembly of Vizille met in the castle's jeu de paume room after the 7 June Day of the Tiles in Grenoble. 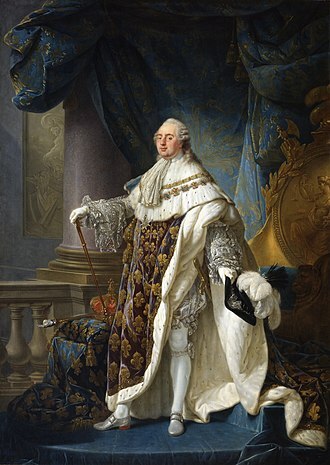 Pope Pius VI spent a night in the castle at the invitation of owner Claude Perier on 5 July 1799, and Napoleon stopped there during his return from the island of Elba on 7 March 1815. Used as a factory, the castle experienced a fire in the night of 9–10 November 1825 which spreads to part of the city. In 1828, Adolphe Perier (son of owner Augustin Perier and grandson of Claude) married Nathalie de La Fayette (daughter of Georges Washington de La Fayette and granddaughter of the Marquis de La Fayette) in the castle. Absent from the ceremony, the Marquis de La Fayette was a guest on 19 August 1829 during a visit with Nathalie. Adolphe Perier, after the death of his father in December 1833, continued restoring the castle. In 1862, after Adolphe's bankruptcy, the Académie des Beaux-Arts classified the castle as a monument historique and Henry Fontenilliat (step-father of Auguste Casimir-Perier) became the new owner. 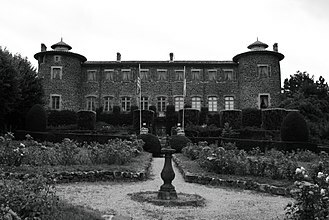 Two years later, Henri Fontenilliat died; his daughter, Camille (Auguste's wife), inherited the castle. Activity in the castle's printing factory halted. Auguste Casimir-Perier and his wife, Camille, received Philippe d'Orléans (count of Paris) in 1872 and Adolphe Thiers in 1874. For the centenary of the Assembly of Vizille on 21 July 1888, President Sadi Carnot dedicated a statue of Liberty (also called Marianne) in front of the castle. Sculpted by Henri Ding, its pedestal is engraved with sentences from the assembly and the names of representatives of the province of Dauphiné. 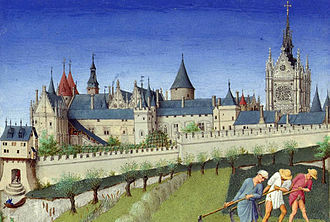 Two months after France purchased the castle, La Dépêche dauphinoise mentioned the possibility of a museum. The newspaper mentioned it again on 6 March 1932, specifying a museum of the French Revolution. With the opening that summer of the nearby Napoleon Road, a room was devoted to the history of the castle. 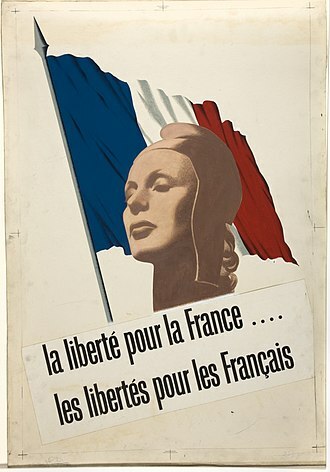 After the 1981 election of François Mitterrand, the 2 March 1982 decentralization law permitted a museum dedicated to the French Revolution far from Paris. At its 10 June 1983 meeting, the general council of Isère created a museum of the French Revolution in the castle of Vizille. Two people contributed to the museum's founding: Departmental Archives of Isère director Vital Chomel and historian Robert Chagny, curator of its first temporary exhibition. Others who participated in the collection of the first works were Jacqueline Mongellaz (1984–1990) and Alain Chevalier (since 1988). The first rooms of the museum were set up at the beginning of 1984, and its first director (from 1984 to 1996) was art historian Philippe Bordes. The museum was dedicated on 13 July 1984 in the presence of the President of the National Assembly, two ministers, and president of its scientific and technical council Michel Vovelle. In November 1987, work began on the Hall of Columns (later called the Republic Room) two large staircases ascending from the current entrance, and elevator access to all levels of the museum. Two new halls were dedicated on 21 July 1988, but financing difficulties delayed the completion of 600 square metres (6,458 square feet) of the Hall of Columns. When it opened in March 1992, the museum contained twenty rooms on five levels. Since 2010, the site of the former jeu de paume hall (removed in 1865) is indicated by a hedge to the right of the museum entrance. The museum is an historical museum based on works of art. These works, more than historical illustrations, are keys to a better understanding of the upheavals and historical context. The paintings and sculptures of the revolutionary era span a variety of styles and genres. The paintings are allegories, historical events, portraits, ancient (or tragic) scenes, and landscapes. Of the statues, several busts are faithful representations of Antoine Barnave, Bailly, Mirabeau, Louis XVII, Robespierre, Danton and his wife Antoinette, and General Lafayette. Statues in a variety of materials include Madame Roland, Saint-Just, and Jean-Jacques Rousseau. Decorative arts illustrate everyday life: furniture, porcelain, and French, English and Dutch faience. Unique objects are stones from the Bastille, swords from the National Guard, and musical instruments. Drawings, prints, and fragile works (fans, miniatures, and printed fabrics) are protected from light and presented in temporary exhibitions. Nineteenth-century works include two paintings by Lucien-Étienne Mélingue [fr]: Le matin du 10 Therminor An II (The Morning of 10 Thermidor Year II) (1877) and Jean-Paul Marat (1879), which demonstrate the power of references to the movement which led to the French First Republic in the context of their time. Statue of Jean-Paul Marat, facing the entrance. 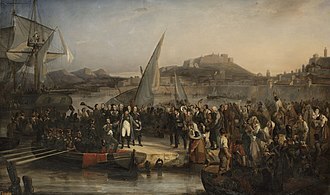 Alexandre Debelle (curator of the museum of Grenoble) painted The Assembly of Notables in Vizille, 1788 (also known as the Assembly of the Three Orders of the Dauphiné) in 1853, illustrating the Assembly of Vizille; the painting is on the museum third floor, facing the staircase. About 60 Dauphine notables are depicted in the painting, and a sketch underneath helps visitors locate them. They include lawyer and future mayor of Grenoble Antoine Barnave (standing on the platform), his colleague Mounier (sitting behind the table—with the Count of Morges presiding—and holding a sheet in his hand) and Charles Renauldon [fr] on the left, future representative in the Chamber of Representatives and future mayor of Grenoble. A bronze statue of Jean-Paul Marat, made in 2013 by the Barthélemy Art foundry, replaced Jean Baffier's 1883 version. The sculpture, on the museum's forecourt, was dedicated on 16 July 2013. Baffier's statue was purchased by the city of Paris and installed in several public parks (the Parc Montsouris, the gardens of the Carnavalet Museum and the Parc des Buttes Chaumont) before it was melted down during the Second World War. The stone pedestal supporting the statue contains a quote from Marat's newspaper, L'Ami du peuple. Portrait by Jacques-Louis David of fellow artist François-Séraphin Delpech, in the museum. The library was named in June 2005 for historian Albert Soboul, the foremost French authority on the revolutionary era (who bequeathed his collection of books on the revolution to the museum before his death in 1982). The library was expanded with the libraries of historians Jacques Godechot, Jean-René Suratteau and Roger Barny, which were donated by their families. Visited by researchers from around the world, the library is part of the Bibliothèque municipale de Grenoble network. ^ thearttribune.com, Acquisitions by the Musée de la Révolution Française in Vizille : the 19th century. ^ pagella.bm-grenoble.fr The count of Morges, President of Assembly of Vizille. ^ Philippe Bordes and Alain Chevalier, « Catalogue des peintures, sculptures et dessins », in Annales historiques de la Révolution française, No. 311, 1998. pp. 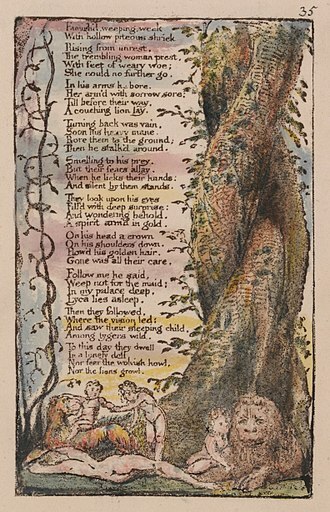 179-180. ^ Griselda Pollock et Mieke Bal, Conceptual Odysseys: Passages to Cultural Analysis, page 104, 2007. ^ The Art Tribune, 2012, Recent Acquisitions at the Musée de la Révolution française in Vizille. ^ Leaflet of the Documentation Center Albert-Soboul (2013). 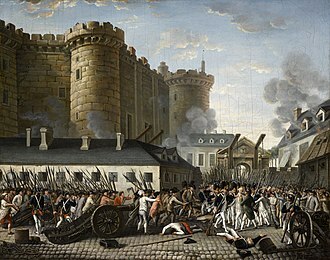 Wikimedia Commons has media related to Musée de la Révolution française. He is notable as the founder of the remarkable Perier family bourgeois dynasty that rose to prominence and economic and political influence in France during the 19th century. 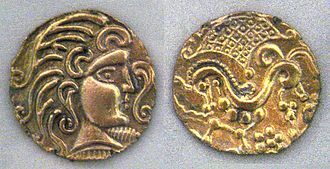 Claudes descendents became leading Paris bankers, regents of the Bank of France and owner-directors of Anzin and they were mayors of towns, prefects of departments and members of municipal tribunals and chambers of commerce. Many were elected representatives of departments to the Chamber of Deputies in Paris, most notably, Casimir Pierre Perier, the fourth of Claudes eight sons, became Prime Minister of France in 1831-32 during the Orleanist monarchy of Louis-Philippe I. Claudes grandson, Jean Casimir-Perier, was elected president of the Third Republic in 1894 and his eight sons and two daughters would share his enormous legacy of 5,800,000 francs. Jacques-Prosper Died at birth Elisabeth-Josephine m. Jacques-Fortunat Savoye de Rollin Euphrosine-Marie Died young Augustin-Charles m. Henriette de Berkheim, École Polytechnique, manufacturer, Peer of France, Legion of Honor Alexander-Jacques Manufacturer and mayor, Deputy Antoine-Scipion m.
Louise de Dietrich. Perier Bank, regent Bank of France, Anzin owner-director, Chaillot machine shops, École Polytechnique, Deputy, Peer of France, Legion of Honor Alphonse m. Antoinette-Bonne de Tournadre. École Polytechnique, banker, Tribunal of Commerce, Deputy, Claudes father, Jacques Perier, moved there about 1720 from the hamlet of Perier, located near the small town of Mens some 50 kilometers south of Grenoble. He prospered at Grenoble and in 1741 married Marie Dupuy, the daughter of a merchant, Claude Perier, born in 1742, was the first of their seven children. In 1749, Jacques purchased an imposing, multi-story home for the family on the Grande Rue, Jacques business developed as a family affair over the years. 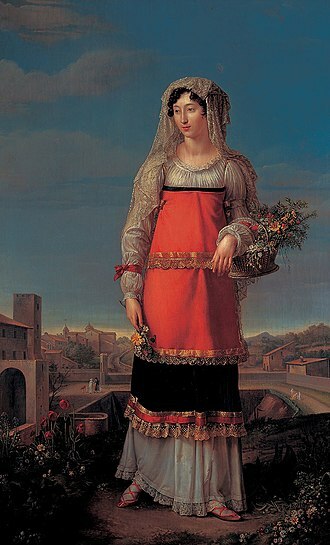 His daughter Elisabeth, for example, married Pierre Jordan, a merchant at Lyon. Commerce with Voiron near Grenoble was added by François Perier-Lagrange, who was a nephew, in 1764, Madeleine Perier, a niece, married a leading merchant in Voiron, François Tivolier. 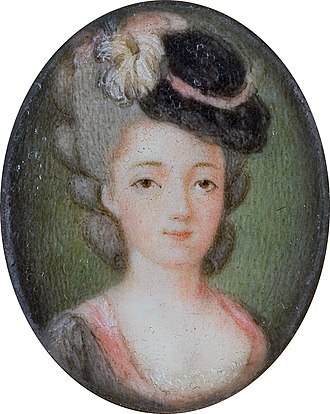 Claude Perier cemented these connections when he came of age by marrying Marie-Charlotte Pascal and her dowry in 1767 amounted to 60,000 livres. Marie Joseph Louis Adolphe Thiers was a French statesman and historian. He was the second elected President of France, and the first President of the French Third Republic and he was ex officio Co-Prince of Andorra during his term as president. Thiers was a key figure in the July Revolution of 1830, which overthrew the Bourbon monarchy, and the French Revolution of 1848, which established the Second French Republic. He served as a minister in 1836,1840 and 1848, dedicated the Arc de Triomphe. 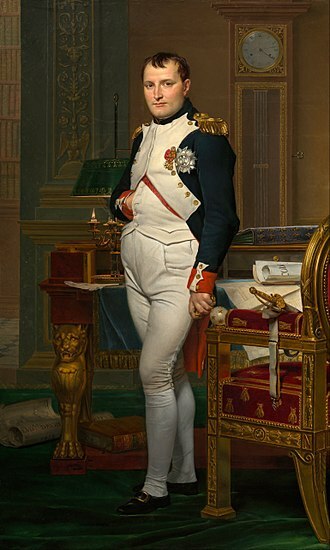 He was first a supporter, an opponent of Louis-Napoléon Bonaparte. When Napoleon III seized power, Thiers was arrested and briefly expelled from France and he returned and became an opponent of the government. Following the defeat of France in the Franco-German War, which Thiers opposed, he was elected executive of the new French government. When the Paris Commune seized power in March 1871, Thiers gave the orders to the army for its suppression, at the age of seventy-four, he was named President of the Republic by the French National Assembly in August 1871. His chief accomplishment as president was to achieve the departure of German soldiers from most of French territory two years ahead of schedule. Opposed by the monarchists in the French assembly and the wing of the Republicans, he resigned on 24 May 1873. He was a literary figure, the author of a very successful ten-volume history of the French Revolution. In 1834 he was elected the second-youngest member ever of the Académie Française, Adolphe Thiers was born on 15 April 1797, during the rule of the Directorate. His father was a businessman and occasional government official under Napoleon and his father abandoned Adolphe and his mother shortly after he was born. His mother had little money, but Thiers was able to receive an education thanks to financial aid from an aunt. He won admission to a lycée of Marseille through a competitive examination, while studying at the faculty of law he began his lifelong friendship with François Mignet. They both were admitted to the bar in 1818, and Thiers made a living as a lawyer for three years. Georges Jacques Danton was a leading figure in the early stages of the French Revolution, in particular as the first president of the Committee of Public Safety. He was guillotined by the advocates of revolutionary terror after accusations of venality, Danton was born in Arcis-sur-Aube in northeastern France to Jacques Danton and Mary Camus, a respectable, but not wealthy family. As a child, he was attacked by animals, resulting in the disfigurement and scarring of the skin on his face. After obtaining an education he became an Advocate in Paris. He married Antoinette Gabrielle Charpentier on 14 June 1787 at the church of Saint-Germain-lAuxerrois in Paris, Danton was considered a very mischievous boy. Due to this, he went to different schools, also, he had a very high natural IQ. As a result, he was bored and disinterested in his classes. His first teacher was his grandfather and he was able to pass his classes with little effort, when he was 9, he was sent to a boys school. This is where Danton learned Latin and he was sent to a school in Troyes for a year due to his mother thinking that he hasnt given up his mischievous ways as a child. Later, he attended a boarding house taught by Oratorians until he was 17, here, he learned more Latin and about the Bible, mainly the Acts of the Apostles and about Christian beliefs. He didnt really take to them, however, as early as age 12, he had already acquired the skills to become a leader. He led fellow classmates to either rebel or riot and this showed his leadership skills and how much his classmates already respected him at such a young age. He consistently questioned authority, which will be seen during the French revolution when he openly disrespected and called out Lafayette as a traitor during a meeting. At a young age, he had amazing writing and speech skills, as during a competition, he took all the prizes for French discourse, Latin narration. Was highly influenced by thinkers of the time, such as Montesquieu. Studied at Reim University where he became a lawyer, become bored of the career and became an orator. Was seen as a man of the people by because he pleaded for the poor. The castle seen from its park. A metal cockade on the swivel of a Pickelhaube helmet. Danton addressing the National Convention. The oath of La Fayette at the Fête de la Fédération, 14 July 1790. Talleyrand, then Bishop of Autun can be seen on the right. 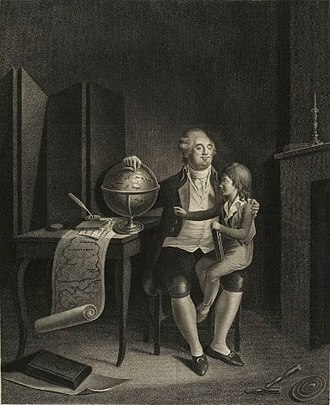 The standing child is the son of La Fayette, the young Georges Washington de La Fayette. French School, 18th century. Musée Carnavalet.